All of my favorites in one bowl! Mix together 1 cup Chobani Coconut, 1/2 of a pomegranate worth of arils, a sprinkle of shredded coconut, and 2 tablespoons Pumpkin Spice Flax Granola (the perfect topping, just a hint of pumpkin, lots of fiber and some added protein). Don't be afraid of pomegranates! So many of my clients ask how I can have the patience to open them up, take out the arils, and clean up the mess. It's not hard and it's worth it for the health benefits and just how delicious they are!. Some simple instructions here. They are the perfect topping for yogurt parfaits, salads, quinoa dishes, the possibilities are endless! How do you dress up your yogurt? 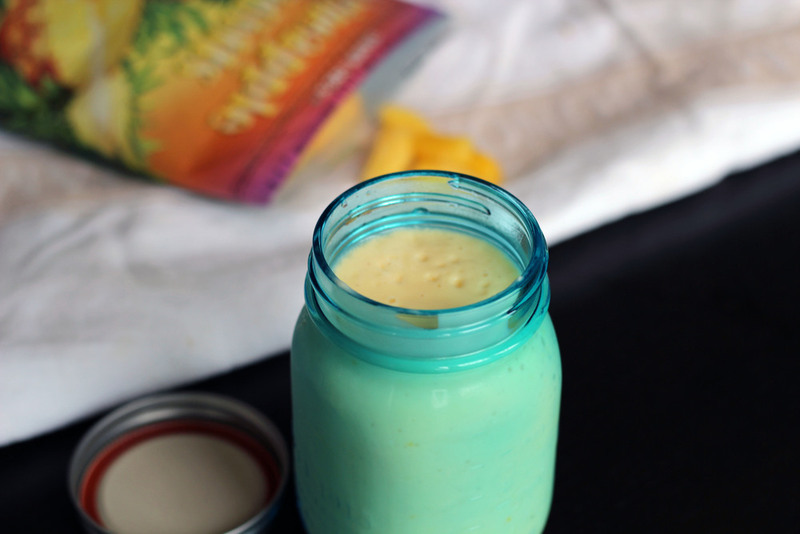 Mango Colada Smoothie! Take me to the beach. 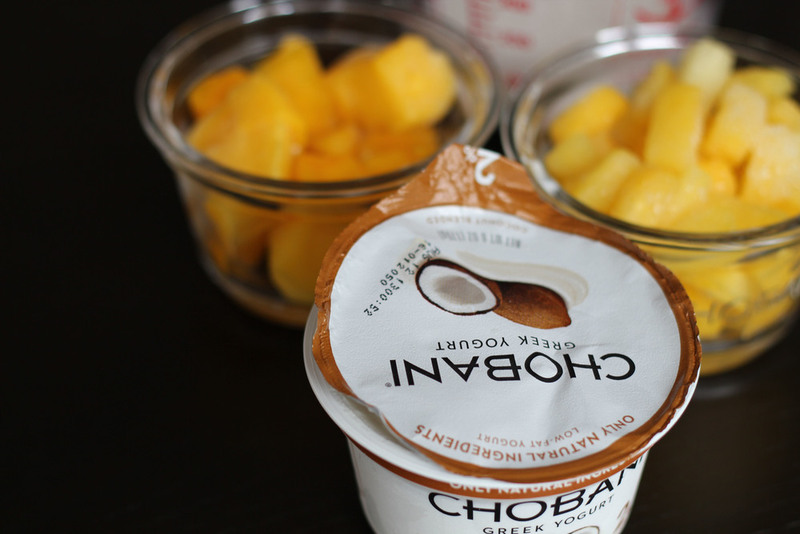 About two weeks ago Chobani released one of its newest flavors, Coconut Blended! Coconut is one of my favorite fruits and flavors. I was so excited to get my hands on it and it is becoming harder to find it already as I think everyone is trying it out finding out how amazing it is. The flavor is perfect, sweet, creamy, and mixes well as a base for smoothies with an extra punch of flavor. One of the first things that comes to mind when I think coconut is pina colada. I remember going on vacation to the Caribbean as a little girl and getting a virgin "smoothie" and when I was old enough to get one with alcohol I still chose without because the booze just muddles the flavor. Today I put together a healthy version of the old favorite drink with the added protein of the greek yogurt. Enjoy! Combine all ingredients in a blender and blend away!